Auza.Net showcases its latest products for structure cabling from Vivanco during the Sandugo Trade Expo at the Island City Mall in Tagbilaran City, Bohol. The trade expo runs from July 22 to 27, 2015 from 9:00am to 9:00pm. The Auza.Net booth is located near the activity center entrance. 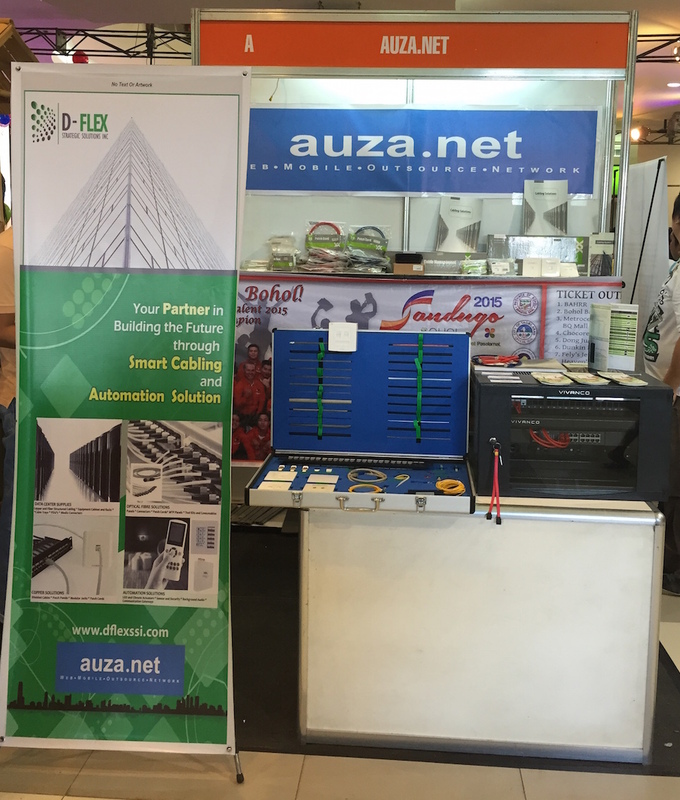 In October 2014, Auza.Net partnered with Dflex Strategic Solutions, Inc., the exclusive distributor of Vivanco structured cabling solutions in the Philippines. Auza.Net is the sole authorized partner for Dflex products in Bohol. This partnership brings to Bohol a complete line of certified and original structured cabling solutions including copper and fiber optic cables, accessories, data cabinets, power distribution units, media converters and other related accessories. Actual Vivanco products are on display at the Sandugo Trade Expo booth of Auza.Net. The display includes patch cords, data jacks, a wall mounted enclosed data cabinet, CAT5e cable and surface mount boxes which are also for sale. The Auza.Net booth at the Island City Mall, Tagbilaran City near the activity center entrance. Sandugo Trade Expo runs from July 22-27, 2015.